Yahoo is trying to lure back advertisers who have curtailed their spending on the portal’s higher-priced ads. How? By making it easier to buy some of the company’s most lucrative ads and target them using the Yahoo’s audience data. Yahoo is planning to introduce a self-serve version of its automated premium ad-buying tool, Yahoo Ad Manager Plus, in September, according to people briefed on the matter. A Yahoo spokeswoman said the company doesn’t comment on products that aren’t in the market yet. Yahoo Ad Manager Plus gives advertisers first dibs on buying Yahoo’s inventory before it’s made available more broadly on the company’s ad exchange to automated ad-buying tools from other companies like Google. Inventory available through YAM Plus includes the company’s so-called “native” Stream Ads, Tumblr Sponsored Posts and guaranteed slots on category home pages like Yahoo News and Yahoo Sports. Commonly referred to as a “demand-side platform” in ad-tech parlance, YAM Plus also allows media buyers to use Yahoo’s first-party user data to target those ads. Yahoo’s display advertising business has been hit hard by the rise of automated ad-buying, among other reasons. This emerging buying method has made buying and targeting ads as easy as booking a hotel through Kayak and has meant that advertisers don’t need to secure broadly targeted upfront commitments in order to reach their intended audience. Why It’s Hot: Yahoo is one of the hardest vendors to work with and never delivers in full. To them, 90% delivery is always good enough, but passing control back to advertisers is a great idea! AOL’s ad business was up 20% last quarter thanks to its programmatic push and Adapt.tv. CEO Tim Armstrong announced quarterly posting of $606.8 million in overall revenue, up 12% year over year. On the ad side alone, sales hit $451.7 million, a 20 percent increase year over year. Most of that growth was thanks to its programmatic ad buying platform, which includes Adap.tv. AOL’s third-party ad business grew 60% year over year to $194.3 million, but that growth would have been closer to 20% without the boost from Adap.tv, which focuses on digital video advertising. AOL display ad sales on its own properties, which include The Huffington Post and TechCrunch, shrank 1% to $144.1 million. In its earnings announcement today, the company said it was focused on premium ad inventory, video and programmatic buying. AOL’s performance stood in sharp contrast to Yahoo’s results last month, when even CEO Marissa Mayer said she was “disappointed” with ad sales—down 8% year over year. AOL posted a profit of $27.4 million last quarter. Shares in the company rose nearly 10% to $42.54 by noon. Why it’s hot: as the war within programmatic and big data grows, AOL has made some very smart moves (gave up on Patch local and made key acquisitions), and has now earned its way back onto the RFP list. As parents tiptoe toward the start of a new school year, it looks like they are rethinking their back-to-school strategies. Webrooming and online price comparisons may be more important than ever, but physical stores are playing a more pivotal role. A new survey from Accenture, the global management consultant, reports that 89% of parents of kids K through college plan to do most of their shopping in stores this year, says Dave Richards, managing director of Accenture’s Global Retail practice. And a forecast just released by Deloitte says that while online shopping has moved into second place in its survey for the first time (just behind discount chains like Walmart and Target, and tied with office supplies stores), 57% intend to research products online before buying them in stores. And 40% of those in the Deloitte survey say they prefer to purchase from stores that allow them to pick up online orders in stores. Those trends indicate that as consumers become more expert at navigating various retail channels, retailers are bumping their way toward offering more seamless ways for them to do so. “The primary reasons for this webrooming are to check if an item is in stock, to actually see the product before buying it, and to avoid shipping costs,” he says. And while 73% of those in the survey say they believe the economy is improving, they are cautious. High food prices still top their list of economic worries, but concerns about energy costs fell 5 percentage points, medical bills 10 percentage points, and taxes 12 percentage points. Instead, the poll finds that online security is a big worry, with 55% saying they are more concerned about their data when shopping online. Why it’s hot: brick and mortar shopping is making somewhat of a comeback as online security is becoming a larger concern for many consumes. So many big chains/ retailers live and die during the “Back to School” and “Return to School” seasons, and online purchases have been a significant revenue booster for most sellers over the past few years, but consumers seem to be leaning towards using online as a research tool, and going back to basics (buying in store). it will be interesting to see how retailers pull in the foot traffic that they’ll need, and if their margins can be maintained! If you don’t have a streaming media player (or two) by now, it’s likely you will in the next few years. According to the NPD Group, the number of streaming media devices in the U.S. will reach 204 million by 2017 — an increase of 100% and a total that will be more than double the number of projected households connected to the Internet. The connection rate is also projected to increase. While 60% of Internet-capable devices are currently connected, NPD projects that 76% of installed units will be connected by 2017. The rate will increase thanks to upgrades that prompt consumers to connect to the Internet when initializing their device, increased app programming from TV networks and user interface improvements. Buffone says. By 2018, however, the growth rate will slow dramatically. By then, the majority of homes that want apps on their TVs will have one on their primary and secondary displays (the average U.S. home has three TVs). By then, the market will move from being one for first-time users to one where consumers are entering an upgrade cycle. “Now is the time to establish consumer loyalty”. Why it’s hot: as the landscape continues to evolve and the competition heats up, and as consumer interest levels grow, the cost to consumer should start to come down. The winners will impact advertising opportunities long term, and likely start drive shifts is marketing budget priorities. Creating a compelling commercial was never an easy task. But the continued shortening of message formats and increased user control over ad-viewing has agencies facing new creative challenges: how to lure consumers into watching a commercial they can easily skip, and then tell them an interesting brand story in 15 seconds or less. “Agencies looking at video creative — whether it’s Vine or Instagram or Facebook — are coming across challenges they haven’t seen before: They have to draw attention but also set context in a very short time frame,” Jonathan Symonds, executive vice president of marketing at ad research firm Ace Metrix said. Ace Metrix is the firm Facebook tasked with making sure the video ads it runs in users’ news feeds meet the social network’s quality requirements. It’s a daunting task considering how sensitive social media users are to ads infiltrating their feeds, and only exacerbated by the fact that the 15-second ads start playing automatically, albeit without sound. Sound starts playing only if a user taps on the ad. While those time and audio constraints are meant to protect the user experience, they also force agency creatives to rethink how to create a commercial. “Fifteen seconds is very hard to tell a story,” Symonds said. The problem is not unique to Facebook, either. Other social platforms angling for video ad dollars have similar or even tighter time limits. Instagram has started rolling out video ads, and it too has a 15-second limit on video. (Some have even questioned whether 15 seconds is too long for a video-sharing service.) Twitter’s Amplify product, which promotes short video clips in users’ streams, serves pre-roll ads that are six seconds long, give or take. And brands creating videos on Vine are subject to the platform’s six-second rule. Even publishers are looking for shorter video ads: When The New York Times debuted minute-long video series Time Minute in November, it ran eight-second pre-roll ads against the videos. Times general manager of video Rebecca Howard said then that there was an industry-wide need for more short-form video creative. Symonds said early research suggests Facebook ads need to be especially interesting from the second they start in order to be effective. Leading an ad with its most interesting part may entice more users to actually watch it, but it doesn’t lend itself well to the arc of a typical commercial narrative. “I’d be lying if I said every creative director is excited about learning about these platforms,” Mike Margolin, RPA’s director of media strategy, told Digiday. The future industry leaders are grappling with them, however, he added. Making ads more instantly engaging was top of mind for RPA when it created a digital-only video campaign for Farmers Insurance. Rather than use Professor Burke, the company’s typical pitchman, RPA took a more irreverent tone, using animal puppets and stop-motion animation in one 15-second spot. BBDO Atlanta is taking a focus on short-form video a step further: It brought on former Best Buy CMO Drew Panayiotou as CEO in order to help reconfigure the entire agency so it can produce enough short-form video to meet demand. TV creatives will now work alongside mobile-minded ones when conceiving video campaigns, and the agency will produce more of these short-form ads itself, instead of relying on production teams. “The moment of truth for a creative unit is the first five seconds,” Panayiotou said. “In a previous lifetime, it was the last 10 seconds”. “Fix in Six” was useful and creative, but it didn’t necessarily tell a story. For Rob Feakins, creative lead at Publicis Kaplan Thaler, digital video creation is becoming less about story and more about short, clever bursts.“I don’t get excited about six-second commercials, but sometimes it makes you think sharper,” Feakins said. Tony Malcolm, executive creative director at DDB Chicago, likened these creative challenges to writing a haiku. The industry, he said, has not found its poetic voice, yet, though. Malcolm’s agency created the 10-second McDonald’s pre-roll ads that preceded NFL clips promoted on Twitter this past fall. Why It’s Hot: as video usage grows, it’s not only getting harder to get your message across or through the clutter, but the time slot that you’re allowed to do it in continues to shrink. There was once a time when :15 seconds was considered to be too short to communicate a branded message, but now it’s too long? Of all the media-streaming households in the U.S., 44% of them use Roku as their primary streaming device, a new report suggests. A study conducted by market research firm Parks Associates shows Apple TV lags behind at 26%, while Netgear, Sony, Google TV and WD TV make up the remaining 30%. 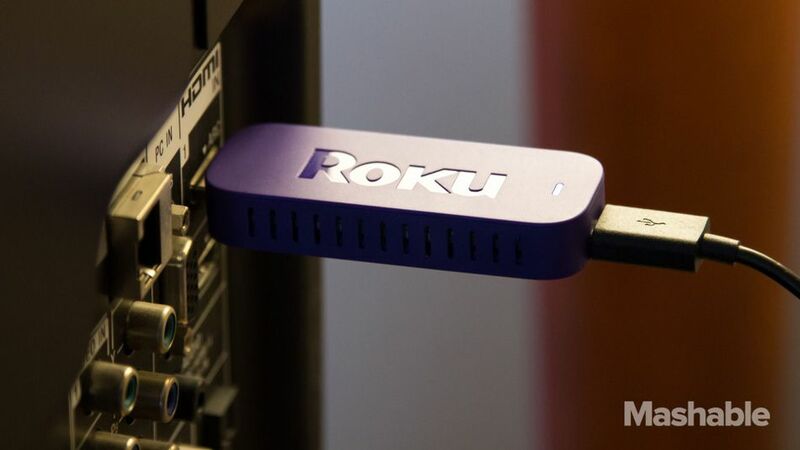 The percent of households using Roku has gone up by 7% in the past year. Part of the upward shift is due to an increased awareness of media streaming as a viable alternative to traditional TV, Parks Associates analyst Barbara Kraus told Mashable. The preference of Roku over Apple TV largely has to do with brand image, according to Kraus. Because Roku created the first Netflix-streaming player, users are more inclined to identify media-streaming with that particular brand. “It’s been more associated with Netflix, whereas Apple is still more associated with iTunes,” Kraus said. Although it would seem logical for iPhone and iPad owners to also buy into Apple TV, this is not the case. Apple TV has historically been under-promoted and therefore not as much of a commodity: The device constitutes less than 1% of Apple’s total revenue. However, Kraus believes Apple TV can rebound from its second-place standing. Now that Google and Amazon have thrown their hats in the media-streaming ring, the potential for Apple to step up its game is ripe. “It’s going to be a very competitive market,” Kraus said. The report also noted that 25% of U.S. households will own a streaming device by 2015. Why It’s Hot: it’s a war out there, and consumers are in control. If Roku stays ahead, new advertising opportunities will likely follow. The Media Rating Council today is adopting a viewability metric, or “currency,” for online video ads that defines when viewable display impressions count. It’s the industry’s first attempt to address the problem of brands paying publishers for ads no one sees. While the industry generally welcomes the development, the fine print causes some concern. Marketers are unhappy about the decision to pay for ads when they’re only watched for two seconds and in cases where only half the video player is viewable in the browser. Meanwhile, video buyers are hoping that their first impression of the new metric won’t be a lasting one. Why it’s hot: video is now a critical tactic within the overall marketing mix, but accurate measurement continues to be a pain point. A universal / agreed upon solution is needed, but we’re still not there, and it’s preventing marketers from investing at levels that could really benefit their brand(s). Local news is not dead! Brands have been experimenting with ways to integrate TV advertising across channels into search engine marketing to capitalize on the real-time influence online offers. Now a study from researcher GfK for Hearst Television released Tuesday demonstrates the connection between local television news and search queries. The study shows local TV news advertising becoming among the top media platforms driving consumers to search for more information on products and services online, especially as consumers sit in from of the television with tablet or smartphone in hand. In fact 64% of adults ages 25 to 54 investigate future or purchase a product or service advertised on a search engine or sites like Amazon or eBay, compared with 57% for all survey respondents. Some 62% and 56%, respectively, do the same after seeing a product or service advertisement while watching local TV news shows. SEM marketers have been attempting to quantify for more than a year the increase in online searches and sales for a specific product or service after a mention on local television news or entertainment shows, as well as any advertisements that run along with the programming. Companies like Dish Network have barely scratched the surface. The challenge will come when television ads serve programmatically to align with paid search ads and the technology allows one media to trigger the other to a specific audience. As the industry waits for the technology, the GfK study notes 46% of women ages 25 to 54 have researched brands or products on a search engine after seeing an ad on local television news. Some 39% look for reviews of the product or service, and 33% visit the product’s or service’s Web site or Facebook page. The study also shows that local TV news advertising is more likely to get the conversation started among friends and family as well as on social sites. In face 55% of women ages 25 to 54 strongly or somewhat agree that they find themselves talking about the product and services they see advertising in media, compared with 30% on search engines. Recommendations drop to 50% and 26%, respectively. The study gathered responses from adults A25+ who view local television news at least a few times weekly. Respondents were from 14 markets served by Hearst Television. Why It’s Hot: as we continue to dig deeper into more impactful cross platform integrations, and know that TV and other offline tactics typically contribute to SEM volume, it’s interesting to see that general news content still captures user interest in real time, and drives engagement online. 3. CTRs are .10% (DoubleClick); the 468×60 banner has a .04% click rate. 10. 25-34-year olds see 2,094 banner ads per month. 11. 445 different advertisers delivered more than a billion banner ads in 2012. Why It’s Hot: banner ads continue to be a high priority digital tactic for most brands as the results are measurable and specific targeting parameters can be assigned, but the above has to make you wonder if dollars can be better spent elsewhere (e.g., video, native content, SEM, etc.)? Food for thought. The New Front End: “The frictionless checkout is going to happen,” FMI predicts, meaning people will simply walk out after their purchases with payment handled automatically. For brands and retailers this raises important questions, however, like how you replace all those impulse ads and products at the check-out aisle? Micro-Personalization: Technologies like near field communication and facial recognition will allow retailers to personalize product assortments in real time so they are tailored to a consumer’s purchase history. Lifestyle Consultation: Store employees won’t be confined to the check-out aisle. They will become “lifestyle advisors” as they help people shop. Hyper-Showrooming: Picture a smartphone app that works in conjunction with a wine display. Answer some basic questions on the app about the kind of wine you are looking for and … voilà! … the bottle that suits your needs will light up on the shelf. Transforming Stores: Stores will physically change to offer different arrangements and assortments for different times of day, seasons, weather and even traffic patterns. Why it’s hot: your food shopping experience will soon vary based on what day or time you go, what you like, and “lifestyle advisors” will help you make better choices while you’re there. In store advertising experiences will become even more dynamic and more personalized. Bottom, line, it just sounds cool, and it’s much more exciting then a $2 off coupon. Marketers may be spending more on mobile paid-search campaigns, but the ad market will continue to fragment as the money moves. This year brands will spend $9.02 billion on mobile search campaigns — climbing to $28.41 billion, or 85.9% of the U.S. digital search advertising market by 2018, per eMarketer. Apps will take more search dollars and share than some expect. Newly released stats from the analysis firm show how search marketers continue to move money to mobile in an effort to meet consumers in a mobile ad market that eMarketer estimates will reach $17.73 billion this year. Some 21% of U.S. consumers expect mobile devices to connect them with content on the Internet when they need it most, per a recent Forrester Research study that analyzes a shift in thinking about mobile connectivity. While younger generations are known to depend more on mobile devices, the survey of more than 8,000 U.S. online adults shows consumers age 65 and older are just beginning to warm up to mobile devices. The biggest shift, eMarketer notes, indicates a change in consumer behavior that will cause google.com to lose market share to apps, which include Bing and Yahoo. Google owned 82.8% of the $2.24 billion mobile search market in 2012, estimates eMarketer. While Google’s mobile search revenue continues to increase, players in the “other” category continue to ramp up efforts to become the entry portal for mobile information. Companies that charge advertisers for listings like KAYAK, Amazon, Shazam and Yelp have begun to see profit, pre eMarketer. Google dominates browser-based searches on mobile devices, but niche search apps have become more prevalent. This has caused Google’s share to drop to 68.5% in 2013, as the long tail of other companies increased share from 5.4% to 22.9%, according to eMarketer estimates. This year, the analysis firm expects Google’s share to fall to 65.7%, while the “other” category climbs to 27.3%. eMarketer estimates that Yelp’s mobile search revenue will grow 136.0% to $119.4 million this year, accounting for about 40% the company’s overall search share. While the company only represents 1.3% of the search market this year, eMarketer expects Yelp’s mobile search ad revenue to nearly triple by 2016 — accounting for close to two-thirds of the company’s total search revenue, as well as for about 2% of the overall mobile search ad market. As smartphone and tablet use continues to grow, it will become more important to define categories across the industry. Google and Bing lump search ads serving up on tablets in the laptop and PC category for bids, but allow marketers to segment tablets in reporting. eMarketer defines mobile search advertising as paid ads served by search engines, search applications and carrier portals to all mobile devices including smartphones and tablets. eMarketer uses Google’s run-rates to calculate its models. Enhanced Campaigns has an option of turning smartphone off, but tablet and desktop stay on all the time. They don’t have a breakdown of tablet vs. desktop. Since the model is based on actual numbers, eMarketer combines the data related to tablets with smartphones in forecasts. Why It’s Hot: Google Glasses — it’s old news. Google Cars — sounds cool, but who’s going to buy one? 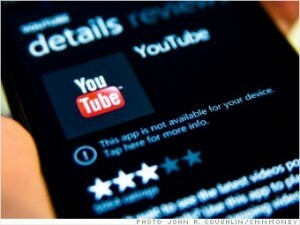 Google Premium Video Marketplace — is it necessary for brands? It’s really interesting to see Google losing share within their core capability (Search). While they still clearly control the search market, it’s exciting to see that the competition is growing, which will hopefully give brands more negotiating power over time. NBC will win the 2013-2014 prime-time season — its first seasonal win in 10 years. The Sochi Olympics contributed heavily to the victory, as well as regular series “Sunday Night Football” and “The Voice,” which lifted NBC’s seasonal rating 13% to a Nielsen 2.7 live-plus-same-day program rating among 18-49 viewers — up from a 2.4 rating a year ago. NBC says that without the Sochi Olympics, it still comes out on top of all networks. Fox will come in at second place with a 2.5 rating, the same as a year ago. Fox reaped big benefits from the Super Bowl in February of this year. CBS was in third place with a 2.4, down 17% from the year before. CBS — which won the 18-49 viewer race a year ago — was up against unfavorable comparisons; it had the Super Bowl in 2013. ABC was down 5% to a 2.1 number. As it has for many years, CBS won the race in overall prime-time viewers — averaging some 10.7 million, down 9% from a year ago. NBC was next at 9.3 million, rocketing up 33%. ABC was at 7.6 million, slipping 3%; and Fox was at 7.4 million, up 4%. When taking out all sports — “Sunday Night Football,” Sochi Olympics, the Super Bowl, and any prime-time overruns on Sunday night from afternoon games — CBS earned a 2.3 rating among 18-49 viewers; NBC and ABC each had a 2.2 number; and Fox had a 2.0 rating. ABC is finishing the season strong. Through three weeks and five days of the May sweeps period, ABC is on track to win the May period for the first time since 2000, earning a 1.7 rating/5 share. CBS is at a 1.5/5, followed by NBC at a 1.4/5, Fox with a 1.3/4; Univision at a 1.1/4, and CW with a 0.5/2. Why It’s Hot: On Demand, Apple TV, Roku, Netflix and all of the other viewing options are completely changing our consumption habits and priorities. To be #1 in TV Prime is a pretty pretty big deal as it’s only going to get harder to generate profit margins in TV over the next few years as the much cheaper digitally based options continue to gain momentum. It’s pretty amazing to see NBC fight it’s way back up to the top after a decade has passed, and at a time when it’s so difficult to find a loyal consumer for more then an hour at a time. Congrat’s NBC! Enjoy the coming commercial pod pricing increases! Major League Baseball fans who want a more intimate look at players’ lives can now digitally tour their homes, courtesy of a new video series presented by Coldwell Banker and MLB.com called “Coldwell Banker Home Field Advantage”. The somewhat fresh spin on the voyeristic MTV Cribs. The first episodes, which continue through July, take a peek into New York Yankee CC Sabathia and Pittsburg Pirate Neil Walker’s residences. The campaign also kicked off with Coldwell Banker homepage takeovers of MLB.com and all official team sites except for the Toronto Blue Jays (due to Canadian advertising regulations). This isn’t the first time Coldwell Banker has played ball with America’s national pastime. Previously, it sponsored the Coldwell Banker Demo Field segment on ESPN’s Baseball Tonight. David Marine, vp of brand engagement for Coldwell Banker, said housing market activity coincides nicely with the baseball season. Home buying builds up during the spring, slows down during the summer and picks back up again during the fall. He suggested that video advertising is an increasing line item in the realty giant’s budget— about 30 percent of spend is going to digital-only campaigns. His company has one of the industry’s largest and most visited YouTube channels, featuring clips that range from exploring the world’s most expensive residences to how-to home improvement tutorials. Why It’s Hot: digital enables the use of “celebrity” without having to create tons of content with minimal need for production time/money. While I’m not sure if this will help sell any homes, it’s certainly fun and engaging, and it’s great way to build brand awareness for Coldwell. Comedian Louis C.K. is a marketing genius . His decision to sever his ties with major media companies and distribution channels in favor of selling his product directly to fans on his website worked like gangbusters. Instead of releasing DVDs, he’s opted to sell $5 downloads on his site. Meanwhile, tickets for his live shows can only be bought directly from C.K., which he says cuts out the middlemen and lowers ticket prices for fans. Respect your customers If there’s one thing that’s apparent from C.K.’s messaging and his approach to his products, it’s that he respects his customers. Marketing emails from him are rare, the checkout process for purchasing material on his site is simple and easy to use, and he’s completely transparent and honest about where the money is going. His “Live at Beacon Theater” special even broke down things like production fees, Website maintenance costs, and his $200,000 profit. The content itself wasn’t copyrighted, making it easy to download illegally if users wished. But C.K. simply asked that they not do that and explained that he was selling to them directly for everyone’s benefit, in his view at least. Do email the right way When users make ticket or content purchases on C.K.’s site, they’re forced to provide an email address. They’re not forced to receive emails, though. Quite the opposite. Users are pre-opted out of his mailing list by default and must proactively check a box that states they’d like to be sent future updates. But users who agree to join the list aren’t subjected to a barrage of email. C.K. picks his moments carefully and appears to respect the fact that people have chosen to share their information with him. What’s more, the content itself is usually refreshingly direct. The emails he does send are simple text, as opposed to rich HTML, and he makes things personal. “Hello. It’s Louis here. I’m clacking this to you on my phone in my dressing room,” one recent email began. Be real This is, of course, easier for Louis C.K. to achieve than it is for other marketers, but that doesn’t mean they can’t learn from his approach. C.K. communicates with his fans in his own voice, as opposed to sales and marketing speak, and builds trust and credibility by being open about things like his financial arrangements and profit margins. Clearly, this approach is probably more effective for a celebrity than it would be for the average brand, but the perception that you’re dealing with a real person is surprisingly refreshing. This approach could apply to B2B brands, too. Digital agency R/GA’s Twitter account is a good of example of one area in which businesses could benefit from scrapping the marketese and having a personality. Make the most of earned media For the release of his 2011 stand-up special “Live at the Beacon Theater,” C.K. shunned the traditional distribution channels and marketing that goes along with it. Instead, he offered the material for download on his site for a sum of $5. There was no paid advertising push around the release whatsoever, yet it still pulled in $1 million in just eight days thanks largely to social media buzz and the press coverage that resulted from it. C.K. tapped his mailing list to announce the availability of the show, of course, but also announced it on social channels such as Twitter and an Ask Me Anything on Reddit. Why It’s Hot: any brand can accidentally overcomplicate its marketing strategy, where a more simplified approach can at times be much more effective, assuming brand awareness levels are healthy. This is a good reminder that audiences tend to know what they want/need, and overwhelming them with messaging could prove to be wasteful. AOL is alive and well. At the AOL NewFront event, it trotted out 16 series — four of them returned from a year ago — and CEO Tim Armstrong from the get-go tried to position the Internet company as part of the line of American entertainment giants finding its space in history books. The programs are easier to explain. They include series like “Kevin Nealon’s Laugh Lessons” produced with Ellen DeGeneres, in which he talks to kids about the problems of the world and how laughter could help solve them. It sounds inspired by the insurance commercials but came off, in the brief clip, as something fairly charming and unique and would seem to be a nice fit for the gentle Nealon style. “That’s Racist,” starring comedian Mike Epps, promises to unveil subtle and blatant racism in society and try to dig into the roots of the myriad slights and daily insults people of all colors or ethnic identification experience. Among a lot of NewFronts programming that seems peculiarly similar and not challenging — and designed mainly to satisfy only advertisers — the Epps project stands out, at least as an idea. It’s what Epps and AOL do with it. Other AOL stuff salutes the more ennobling trait of humankind, including “My Hero,” produced by Zoe Saldana and aimed at profiling life-changing characters; “Win/Win” about famous athletes put up close and personal with famous, powerful business executives; “Inspired” in which A-listers tell the story of a pivotal moment that propelled their success; and “Follow Me,” which takes viewers into the lives of a new era’s digital creative heroes. Still, hats off to AOL; since launching “AOL On” in 2012, it has produced some content that has stuck amid a lot of slick nothing offered elsewhere. The AOL originals will be measured using Nielsen-provided gross ratings points, just like television. That too, I guess, is inspiring. Why It’s Hot: AOL has not gone away, and has evolved its content model to compete with TV. Has scale and its affordable to advertisers. Haagen-Dazs found a way to make ice-cream healthy! Has Haagen-Dazs found a way to make ice-cream healthy? 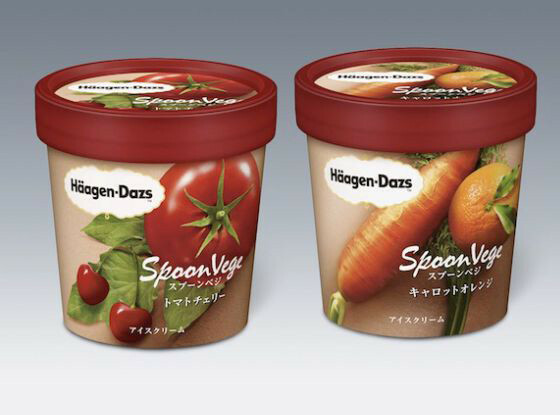 The company has unveiled two new vegetable flavors — Carrot Orange and Tomato Cherry — in Japan, enabling people to combine dessert with ensuring they get part of their veggie quota for the day. Why It’s Hot: CPGs really do make dreams come true. And the promotional dollars are soon to follow. Internet Ad Revenue Surpasses Broadcast TV! For the first time, marketers spent more to advertise online than they did for broadcast television in 2013. Investments in U.S. interactive advertising reached $42.8 billion in Internet advertising last year — up 17% from 2012, per the IAB Internet Advertising Revenue report. More brands now depend on digital media like search engine marketing and mobile media to augment broadcast television campaigns. The report, released Thursday by the Interactive Advertising Bureau (IAB) and prepared by PricewaterhouseCoopers (PwC) U.S., also reveals that fourth-quarter revenue for 2013 reached $12.1 billion, up 17% from the $10.3 billion in the year-ago quarter. The total represents an uptick of 14% from Q3 in 2013, when revenue totaled $10.6 billion. Search and mobile marketing supported the increase in spend. Revenue from search ads rose 9% to $18.4 billion, and mobile rose 110% to $7.1 billion for the year, accounting for 17% of 2013 revenue. In search, the percentage of share fell from 46% in 2012 to 43% in 2013, but the amount spent rose from nearly $17 billion to more than $18 billion, respectively. Online video, part of the display-related advertising numbers, brought in $2.8 billion in 2013 — up 19% compared with the $2.3 billion in 2012, increasing its share to become the fourth largest format behind mobile. Display-related advertising revenue reached $12.8 billion, or 30% of the year’s revenue, up 7% over $12 billion in 2012. Retail advertisers continue to represent the largest category of Internet ad spend, attributing 21% in 2013, followed by financial services and automotive, which account for 13% and 12% of the revenue, respectively. Why it’s hot: it’s bigger than broadcast, and priorities are shifting. Perhaps digital should finally be crowned king? Mobile App Inventory Continues To Grow, However Ad Spending Is Not Keeping Up. Mobile users are spending more time than ever with apps, according to a new study. The report from app analytics and advertising firm Flurry found U.S. consumers are spending 86% of time, up from 80% in 2013. That amounts to two hours and 19 minutes a day out of the total mobile time of 2:38. The balance is spent on the mobile Web. That estimate is drawn from Flurry’s app analytics software running on 1.2 billion devices globally per month. The overall time spent on smartphones and tablets was up just four minutes from last year, or 2.5%. “This is a modest increase in time spent, yet not as spectacular as the five previous years,” noted Flurry CEO Simon Khalef. That suggests American’s addiction to mobile devices may be easing up a bit in 2014. Nearly a third (32%) goes to games. Social and messaging apps garner 28% of time, with Facebook alone accounting for 17%. Twitter, by comparison, was just 1.5%. Utility apps represented 8% of time, Safari, 7%, Google browsers, 5%, entertainment, productivity and YouTube, each took 4%, and news, 3%. The category-based information was compiled from Flurry Analytics, comScore and NetMarketShare data. The time spent with Facebook is roughly on par with the 17.5% of overall mobile advertising Facebook earned in 2013, based on eMarketer research. By contrast, Google, according to eMarketer, earned 49.3% of the overall mobile advertising revenues, with 18% of time spent in mobile. Apps command 65.3% of time spent but only receive 32% of ad revenues. Khalef argues this represents an opportunity for gaming and other apps to make money through advertising. But then why aren’t they doing so already then? A law of nature says ad dollars have to be apportioned in accord with time spent. Further, a Gartner study earlier this year estimated because of the ever-growing number of apps, less than 0.01% of consumer apps by 2018 will be considered a financial success by their developers. Still, Flurry points out the market for in-app ads is growing. The ad category is growing 60% a year and is expected to surpass desktop display ad revenue by 2017, according to a forecast by IDC and app analytics provider AppAnnie. Mobile apps are still an under-utilized resource for many advertisers and the continued surplus of inventory could lead to even more affordable and high reaching options. Is YouTube Music For Real? There have long been rumors that Google plans to launch a separate music subscription service, and it looks like those plans have finally come together. Google is already running a Spotify-like music subscription service called “Google Play”, but there have been a number of reports that they plan to sell music subscriptions through YouTube as well. It could be a category changer. The big questions are: 1) Who will win over the small percentage of US consumers that are willing to “pay” for their music? Pandora, Spotify, Soundcloud, Muve, iTunes, Vevo, Amazon, and/or Google? 2) What does this mean for advertisers? Only time will tell! Sources. Read more here and here.